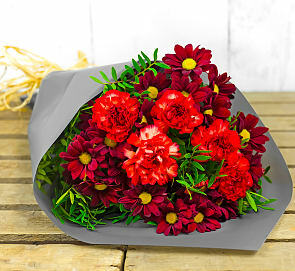 Send your lucky recipient this stunning bouquet to make them the happiest person on this lovely day. 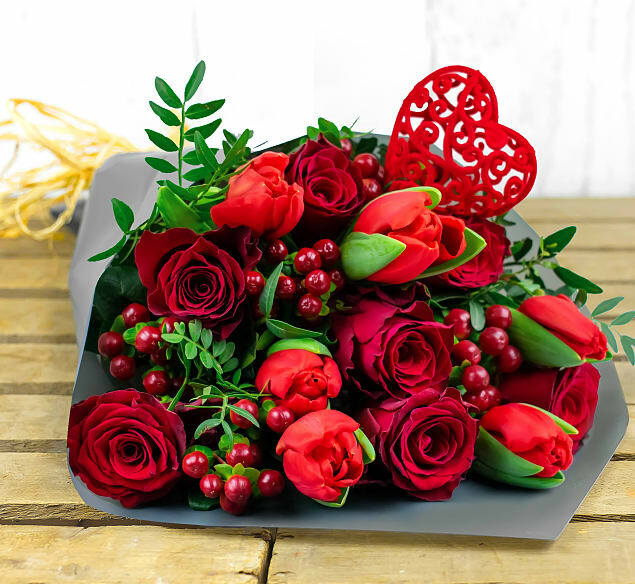 This bouquet has romantic red roses, luscious tulips and red berry complimented with forest greens. This bright bouquet symbolises love and adoration. The long lasting Rhodos rose comes with an average head size of 5cm!